Durable, abrasion resistant, and easy to care for. Fabric: 82% Nylon/18% LYCRAÂ® Spandex blend. Comfortable to wear and reasonably durable. 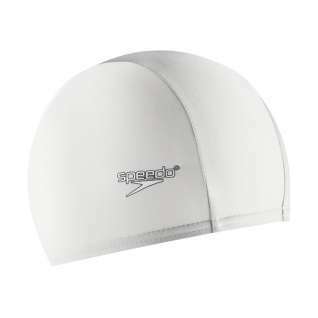 These are the best - they don't keep my hair dry but are very comfortable and do keep my long hair confined and out of my face while I do my laps. Highly recommend. Fine for my needs - snorkeling in the Galapagos Island. Have thin hair and have to protect my scalp from sun rays. More comfortable than Silicon or other material for me. I like it, it is not so tight like silicon's, but tight enough to hold hair. 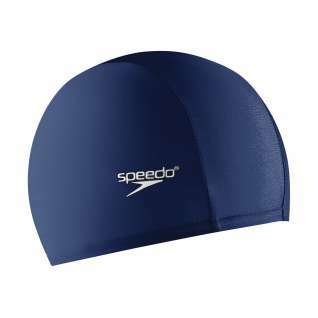 Although these are listed as "recreational" swim caps, I have been a competitive swimmer for year and won't swim in anything else. I have long hair, and all the other caps pull on it and on my head uncomfortably. Using a lycra swim cap under a regular one is still uncomfortably tight and too much stuff on the head. The argument is regular caps keep your hair dry and non-chlorinated and so are better for your hair. Use a good shampoo and conditioner and let your hair get wet - it feels better (and my hair is in good shape). All the lycra caps are good (Speedo, Tyr, Dolfin, and Finals) - just fit your head differently. Tyr and Dolfin are the smallest head size and have the least room for hair. 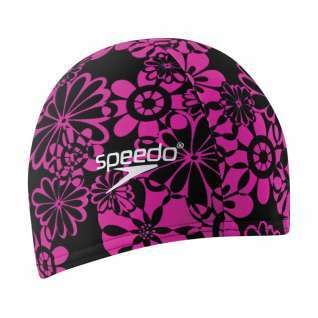 Speedo are medium in room for hair but have a thicker, smoother edge and are not as tight on the forehead. Finals have lots of room for long / very thick hair.